THE next time you go to throw out your vegetable scraps, it might pay to plant them in the garden instead. 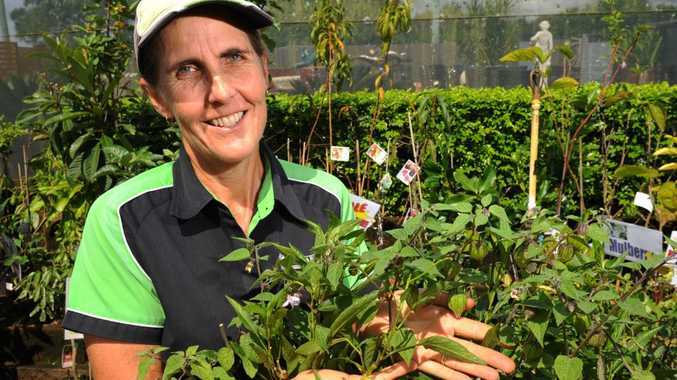 Bundaberg garden gurus have given a list of foods that will re-grow from scraps and save you on your next shopping trip. Bundaberg Wholesale Palms and Plants retail supervisor Kerry Borg said growing produce from scraps was extremely simple. For celery, lemon grass, cabbage and lettuce, Mrs Borg said it was as easy as popping the discarded base in water, watching roots sprout and planting it in the garden. "And if a vegetable sits for too long in the cupboard, don't throw it out," she said. "You can plant it directly in your garden." Sweet potatoes, potatoes, ginger and garlic were a few examples she gave. "For garlic, you can break the bulb off the side and plant them in garden. Don't take the skin off." Mrs Borg said pineapple was also easy to replant. "Just cut the top off and plant," she said. Pineapples need full sun and to be planted on a raised mound. "And they don't like to get too wet, they're part of the bromeliad family," she said. Mrs Borg said a pineapple could even make a nice ornamental plant in the garden. "I've planted them in my main garden, they produce a nice flower and the flower turns into the pineapple," she said. "Plant them now and they'll be ready to harvest in the summer." Cliff Steinbeck of Bargara has been growing vegetables in his backyard all his life and has a penchant for pineapples. Mr Steinbeck said planting tops off pineapples took a while to grow, but offered a shortcut. "When you plant the top, a sucker develops out the side of the stalk of the pineapple," he said. "When you see the sucker, pull it off, discard the pineapple top and replant the sucker." Mr Steinbeck said people didn't realise how easy it was to get groceries from scraps. "You get good results, it's lovely, and you're never short of anything you want." "From now on right through winter, things grow absolutely beautifully," he said. Mrs Borg agreed and said winter in Bundaberg was the best time to grow vegetables. "Now is the time to plant your veggies, get them in now," she said. Taste of home ... where can you find the food you miss most? 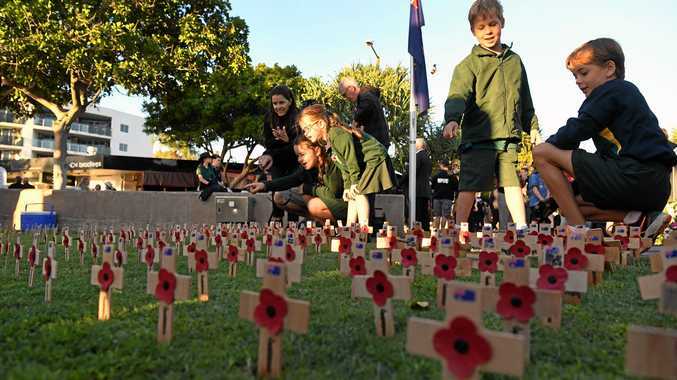 Whats On WITH Anzac Day celebrations and commemorations set to go into motion tomorrow, here is a list of services throughout the Bundaberg and North Burnett regions. News Renting game heats up with lack of vacancies.